As all of our twitter followers know, I made a promise that if Auburn beat Alabama in the Iron Bowl I would go a whole year without watching football. This will probably be the longest 365 days of my life starting on January 7, 2014, but I’m a man of my word and I will keep my promise. This includes no live football, watching replays or highlights, or playing any football video games (of course EA Sports’ cancellation of the NCAA Football franchise eases that). For today’s 4th and 10, I’ve decided to list some of the things I can do to fill this massive void in my life. Being the sports junkie that I am, there is no way I can stay away from sports altogether. Basketball is a close second in my heart to football, so I guess it will have to substitute. It may also help me win my March Madness bracket pool for once. This has always been a dream of mine. Since I can’t watch football, this is the perfect opportunity for a six month “vacation”. Unfortunately, my academic endeavors will likely prevent this from coming to fruition. The first step to making this come true is getting a Series 7 exam. 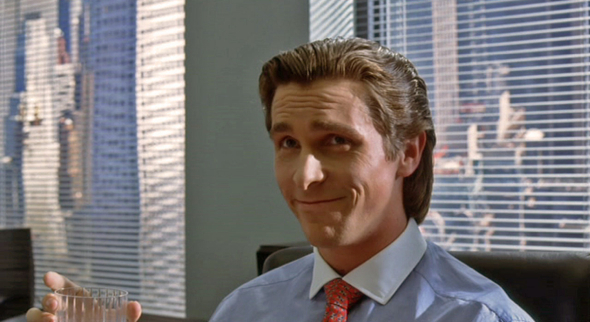 After that, I kind of picture myself being like a Patrick Bateman type, but you know without being a psychopath and a murderer. One thing is certain; my business card would be way better than Paul Allen’s. Playing table tennis, affectionately called Ping-Pong, was one of my favorite hobbies as a kid. 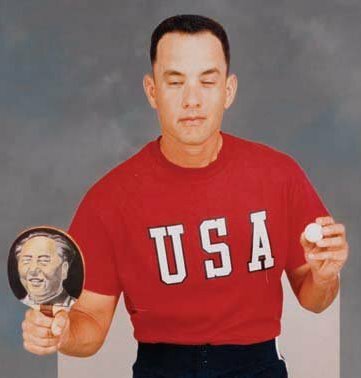 I always considered myself decent, but with a little practice I think I could become the best table tennis player from the state of Alabama since Forrest Gump. I will likely either be enrolled in medical school or a biomedical master’s program next Fall. This will be an extremely rigorous coursework, but with no football I can Saturday and Sunday afternoons exclusively to my studies. Of course, I will likely do what I do now and pull up box scores and fantasy scores every 20 minutes, because that is not part of the promise. Every single male or female around my age is hoping that “The One” will come along pretty soon. I’m not sure why that is, but with my bitter split up with football maybe I will find that special someone. Of course, there is only, at most, a one-year period before she has some major competition. 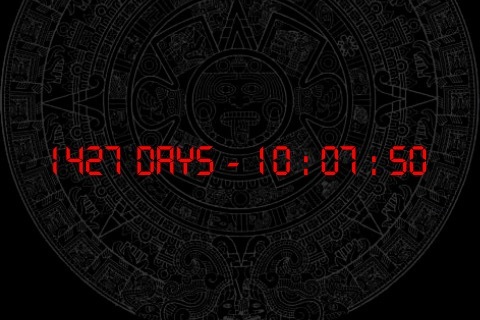 Jacked. Yoked. Swole. Huge. Ripped. All of these are pretty cool things to say about yourself. Ok it’s not really that cool to talk about how big you are, but it is pretty cool to be in decent shape. Maybe instead of sitting on the couch with a plate of chicken wings and watching football on Saturday afternoons, I can go out and run or play pick-up ball or “lift”. I’m a little bit old to become a musical prodigy, but I did play piano from 1st to 5th grade and can still read sheet music. 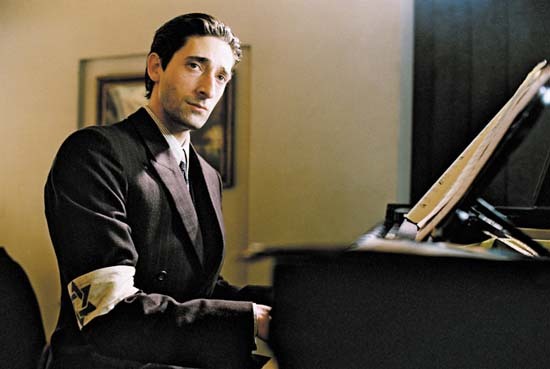 I doubt I will ever be a concert pianist, but maybe with a little practice I can be like one of those guys in old movies that play the piano at the bar. The downside to that is they are always the first guy to get knocked out when a massive bar fight breaks out in the movies, kind of like the fat, funny guy in horror movies who always dies first. Taking Latin in high school and Greek in college didn’t really help me to learn to speak a foreign language, as those are typically considered “written” languages. However, those Rosetta Stone commercials make it sound like they can make you fluent in like 5 languages in a month, so it can’t be that hard right? Let’s face it. All of these things are pretty awesome, but nothing compares to football. You better believe I’m going to have my Dog of the Month calendar in my room and check off every single day until I can watch the glorious sport that is football. I may spend a whole week watching “re-runs” of the year I missed.